Skirts, which come in so many varying lengths, fabrics, colors, and patterns, are the perfect summer-to-fall transitional piece. They allow you to subtly shift your wardrobe for the upcoming season, without sacrificing comfort in still-sweltering temperatures. From anything-but-boring pencil skirts to flirty miniskirts, we’ve sourced the hottest styles to take you from the dog days of summer through harvest season. Scroll down to shop our favorite summer-to-fall transitional skirts! Tap into the pleated trend with this option, which comes in fall-friendly colors. The skirt’s tulip shape and its understated color speak to our feminine sensibilities. 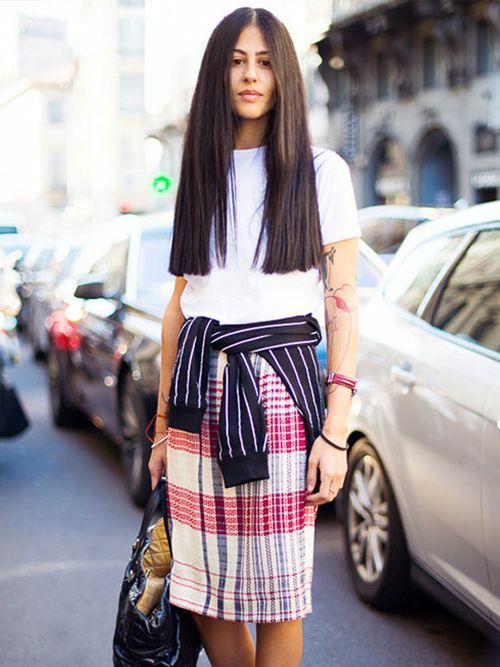 What’s your favorite skirt style to wear when transitioning from summer to fall? Tell us in the comments below!